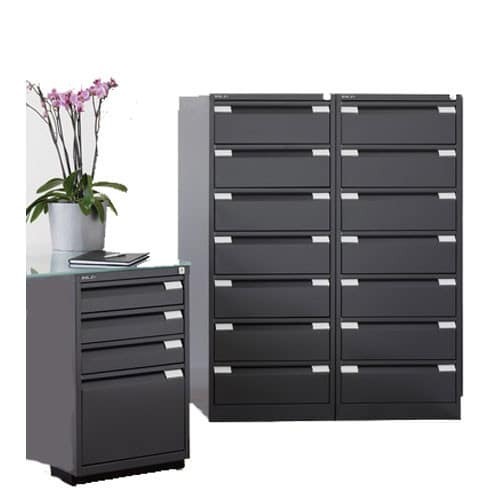 With the capability to holds CDs and DVDs, these versatile filing cabinets from Bisley are crafted from prime quality steel and come with a 5 year guarantee. The units are easy to open and close even when fully loaded and can be bolted together to meet demand. 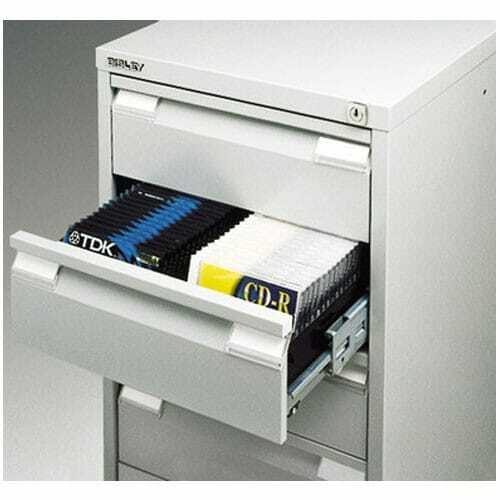 All drawers can also be subdivided to help you to organise your storage space, making this a thoroughly functional solution.